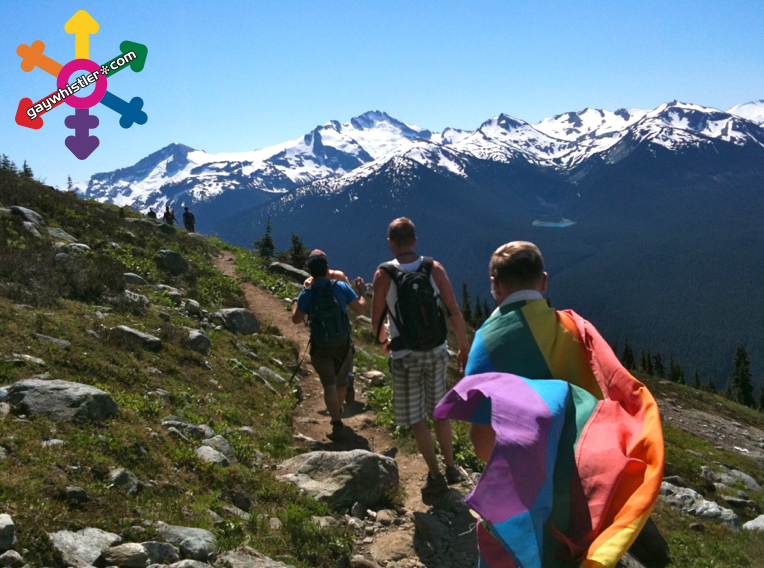 WHISTLER, BC July 18, 2013 – Thanks to warm early summer alpine temperatures and particularly sunny weather, Whistler Blackcomb’s alpine trails will be fully open to the public starting on Saturday for walking, hiking and running. A few trails have been open since mid-June but Saturday will be the first time this season all of Whistler and Blackcomb’s alpine walks and hikes will be fully open. “We are actually two weeks ahead of schedule compared to last year. Warm weather this past spring, and so far this summer, has quickened the snow melt process in the alpine, resulting in early trail openings and a longer alpine hiking season. We are even seeing alpine flowers starting to bloom already, which is much earlier than we saw last year,” said Arthur DeJong, Mountain Planning and Environmental Resource Manager. Alpine wildflowers are starting to bloom and will be in their prime starting next week until the end of August. DeJong says the best place to view wildflowers is on Blackcomb Mountain, particularly Lakeside Loop and Overlord Trail. With over 50 kilometres of hiking and running routes at over 6,000 feet, Whistler Blackcomb offers some of the most easily accessible, and vast, walking, hiking and running alpine terrain in North America. To help guests navigate the trails, Whistler Blackcomb has unveiled the new summer Alpine Wonder Routes; a network of tours, trails, waypoints and stops created to help guests navigate the mountains and discover Whistler Blackcomb’s most wonder-filled alpine places. · Alpine Vista Route – The Alpine Vista Route takes guests up the Whistler Village Gondola where they can then board the record-breaking PEAK 2 PEAK Gondola for a lofty journey over the treetops and across the Fitzsimmons Valley to Blackcomb Mountain. From there guests can board two open-air chairlifts for a relaxing trip down to Blackcomb Mountain’s Upper Village. 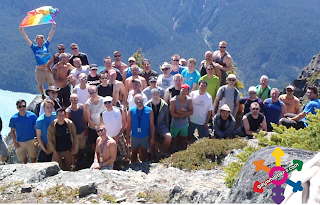 · Top of the World Route – This route takes advanced hikers to the highest points on both Whistler and Blackcomb Mountains, can take up to a full day to complete, and boasts panoramic glacier views in all directions. · Running the Rooftop Route – This 10km single track route starts at the Roundhouse Lodge on Whistler Mountain and is a dedicated running route offering breathtaking views of Cheakamus Lake and the surrounding peaks of Garibaldi Provincial Park. Recommended for advanced runners who have trail running experience. Runners should also be aware of hikers as they are also permitted on this route. · Alpine Lakes Loop – This intermediate level hiking trail starts on Blackcomb Mountain’s Alpine Walk and flows through a stunning palette of colourful wildflowers and Blackcomb Lake before circling back to the PEAK 2 PEAK Gondola where the loop continues on Whistler Mountain’s Harmony Lake Trail. · Overlord Vista – This challenging full-day hike covers some of Blackcomb and Whistler’s longest hiking trails; Overlord, Decker Loop and High Note Trail. The route offers stunning views of the Overlord Glacier, volcanic Black Tusk, Cheakamus Lake and the mountains’ various wildlife. I was looking for blogs about Blackcomb to share on our site and I came across your post...If you're open to it, shoot me an email at jane(at)dwellable(dot)com.